Item number 3259/34 from the MOA: University of British Columbia. 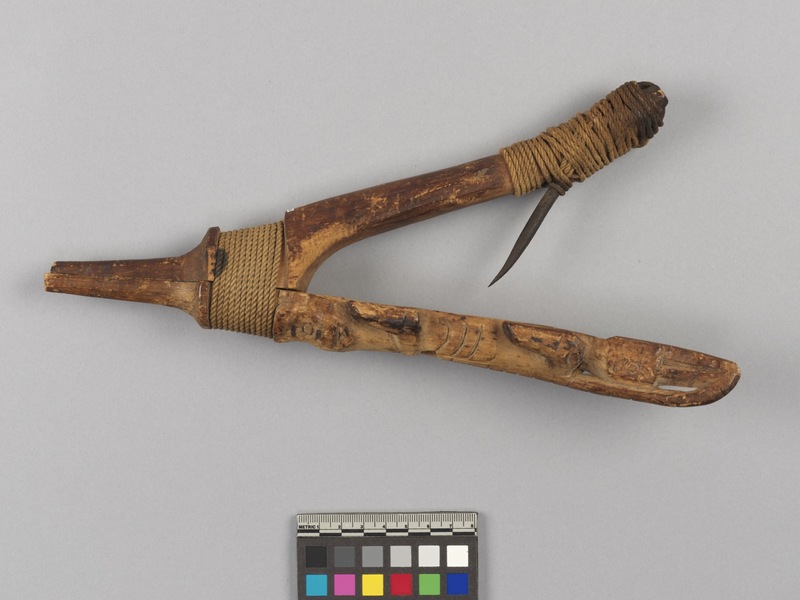 Large wooden halibut hook. Two pieces of wood, lashed together by cotton sailor's binding, to form a V-shape. Iron spike is lashed at an acute angle to shorter arm. 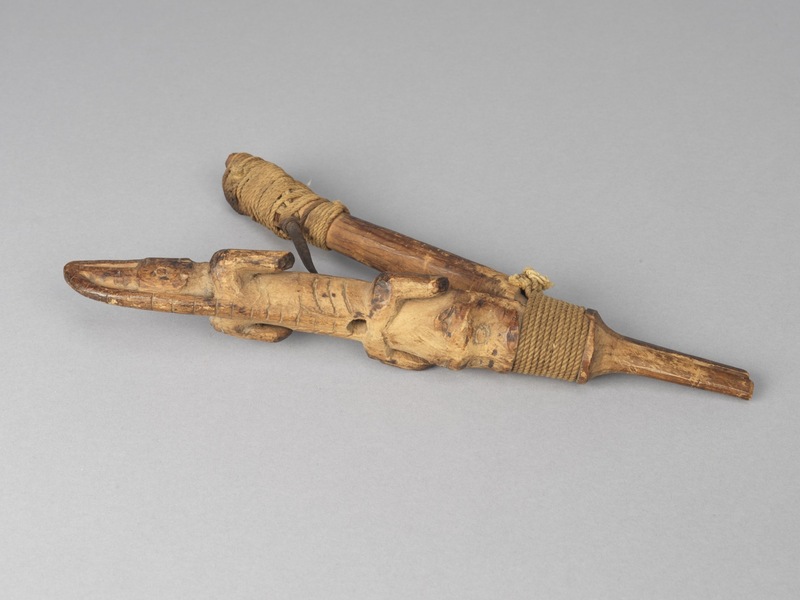 The hollowed-out arm is carved with an animal body, with exposed ribs, a hole in the chest, and vertebrae and a tail extending over the head of a bird.